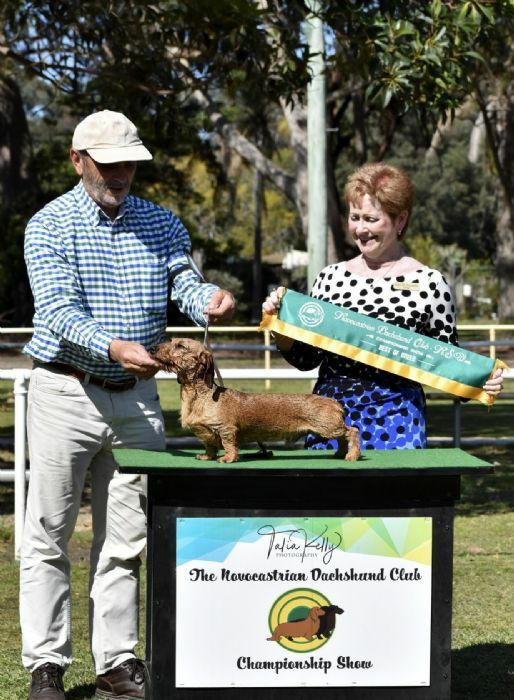 This promising mini wire is making his show and earthdog debut in Sydney, attaining his conformation title at 9 months. His grand-sire (and great grand and great great grand-sire) is the 2009 and 2010 Crufts Best of Breed winner, UK Ch Stargang Malachite (imp). His grand-dam is Ch Tarrangower Tangelo, the foundation Mini Wire at Fayrewyre. Son of Celtic Warrior and Touched By An Angel, Colby has been named after Columba, the Celtic saint who brought Christianity to Scotland.